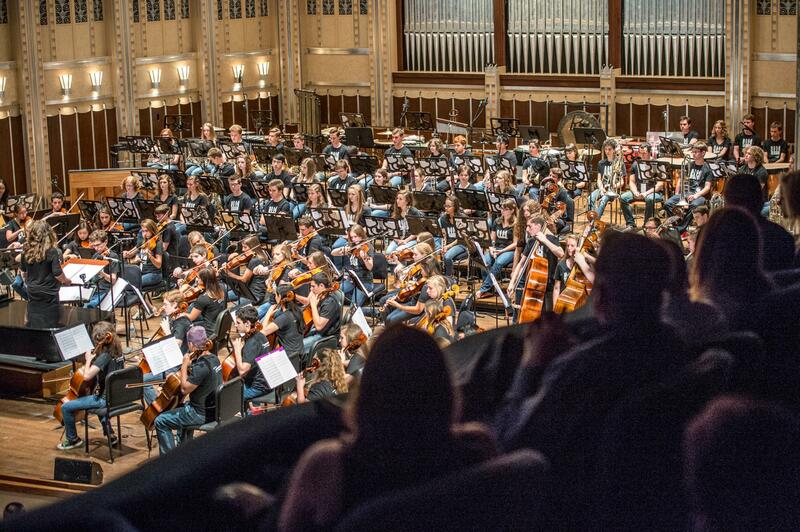 The Contemporary Youth Orchestra was founded 21 years ago in Cleveland. Cleveland State University is its host. Technology has been changing the music world at an allegro pace. In Cleveland, a group of young musicians stays on tempo by exploring new avenues of expression and new ways to be heard. In today’s State of the Arts, WKSU’s Vivian Goodman reports that includes orchestral music for video games. Even if you’ve never touched a joystick you’ve probably heard some video game tunes. But music for the games we play has come a long way since Nintendo put the Mario Brothers to work back in 1983. Just ask Sean Beeson, lead composer for Neoglyphic Entertainment. 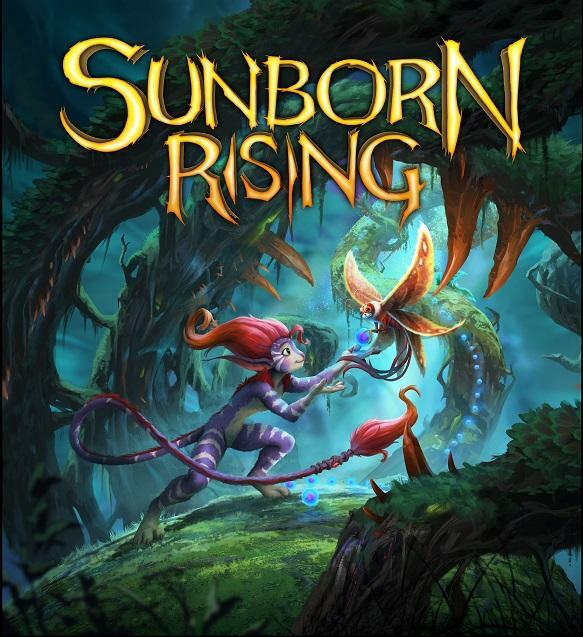 Sunborn Rising is Neoglyphic Entertainment's newest video game. Animated media and an immersive book also use its theme music. The company’s co-founder Aaron Safronoff wrote the story that inspired the music. At the podium conducting the recording of the theme was Liza Grossman, founding music director of the Contemporary Youth Orchestra. The ensemble Grossman’s led for more than two decades, hosted by Cleveland State University, has hit a milestone. “CYO is the first youth orchestra to record the theme song for a video game,” she’s proud to say. Neoglyphics co-founder David Ramadge says CYO was a natural choice. Liza Grossman says her players fit the bill. They love adventure. Grossman met composer Sean Beeson last summer and pursued the project because it fit CYO’s mission. Contemporary Youth Orchestra Music Director Liza Grossman and lead composer for Neoglyphics Entertainment Sean Beeson met last summer. Since 2007, CYO’s annual series “Music and its Industry” has featured collaborations with guest artists like Jefferson Starship, Pat Benatar, and most recently, Graham Nash. Two years ago, CYO became the official orchestra of the Alternative Press Music Awards show. “Through exposure to cartoon music and movie music, and contemporary composers, award-winning living composers and young composers, playing with rock artists, being part of a televised event and award shows, it’s a real trip through the galaxy of the entertainment industry,” says Grossman. Recording music for a video game exposed her high-school age players to yet another career path. The composer considered it a rare opportunity. Matt McGuire is in his second season with the Contemporary Youth Orchestra. He also enjoys playing video games. Matt McGuire has the passion. He’s a Firestone High School senior and member of the Contemporary Youth Orchestra. McGuire’s looking forward to CYO’s concert Saturday at CSU’s Waetjen Auditorium. Titled “POWER UP,” it’ll feature the Sunborn Rising theme and other epic video game music. McGuire’s been playing cello with the orchestra for two years, and video games long before that. Music director Liza Grossman says a lot of the music will be recognizable. But for composer Sean Beeson, video games have meant much more. But he’ll be on hand to hear the Contemporary Youth Orchestra perform his music Saturday night, along with live gameplay on a giant screen. A ceramic art show at the Canton Museum of Art evokes bitter memories of shuttered plants and lost jobs. It also celebrates the courage of those who lived through the decline of manufacturing throughout the Midwest. “Blue Collar” is the work of two sculptors who grew up in a small Indiana factory town. Kelly Phelps chairs the art department at Xavier University in Cincinnati, and Kyle Phelps is on the arts faculty at the University of Dayton. When the Cleveland Institute of Art moved last summer to the $75 million complex on Euclid Avenue it had been building for six years, it had to make hard choices, like downsizing its fiber program. There was no place to put the equipment, including 17 floor looms. But adjunct professor Jessica Pinsky had an idea that jived with the institute’s philosophy of field-based experiential learning.